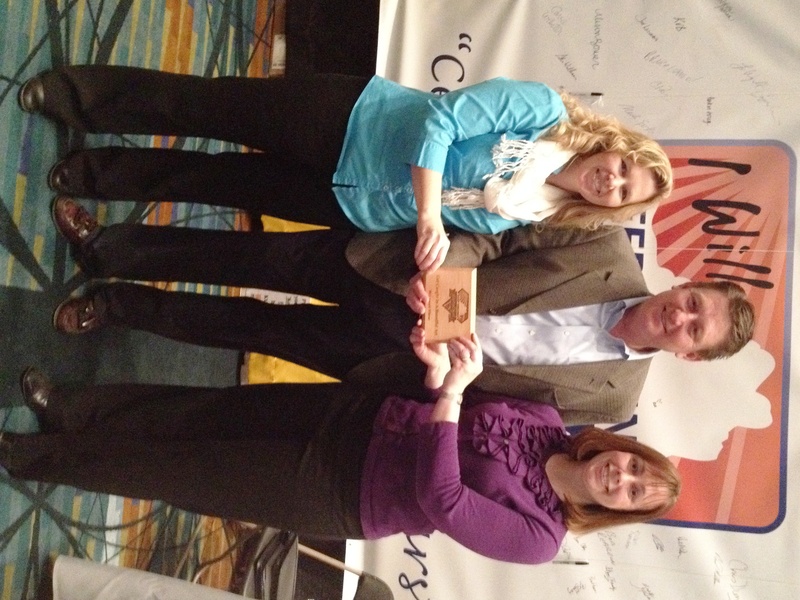 Bryna Dunn and Carrie Webster of Moseley Architects receive a plaque from Mike Baum of Keep Virginia Beautiful. The Moseley Architects’ Seeds of Green corporate sustainability group from the Richmond office has received an award for getting “Caught in A Beautiful Act”. 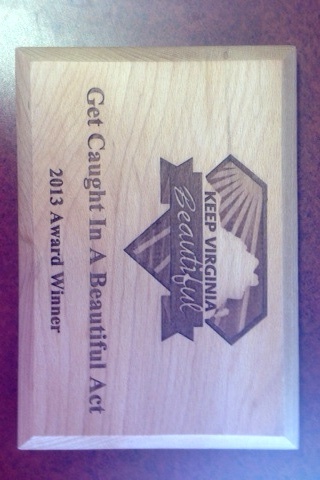 The award was given by Keep Virginia Beautiful, who for their 60th anniversary, ran a program challenging Virginians to “Give 60” toward efforts to beautify our Commonwealth. Richmond office volunteers donated their lunch hour on Earth Day 2013 to clean up trash from the streets around the office. This is in addition to the stretch of West Clay Street that is maintained by Moseley Richmond volunteers year-round through the City’s Adopt-a-Spot program. The plaque itself has a neat story. It was made by local company Citiwood, who manufactures plaques and other products from trees that fall naturally. 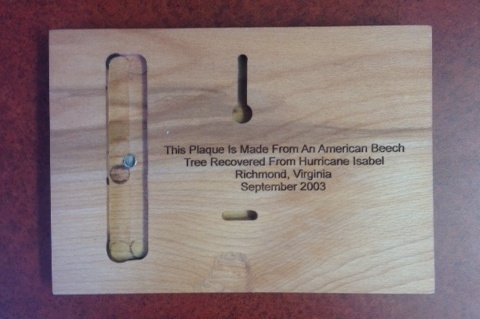 Our plaque was made with wood from a tree downed during Hurricane Isabel. Congratulations and thank you to all the participating volunteers!